On the hunt for sweet and simple dessert recipes? I have a list of delicious and simple desserts that are calling your name. 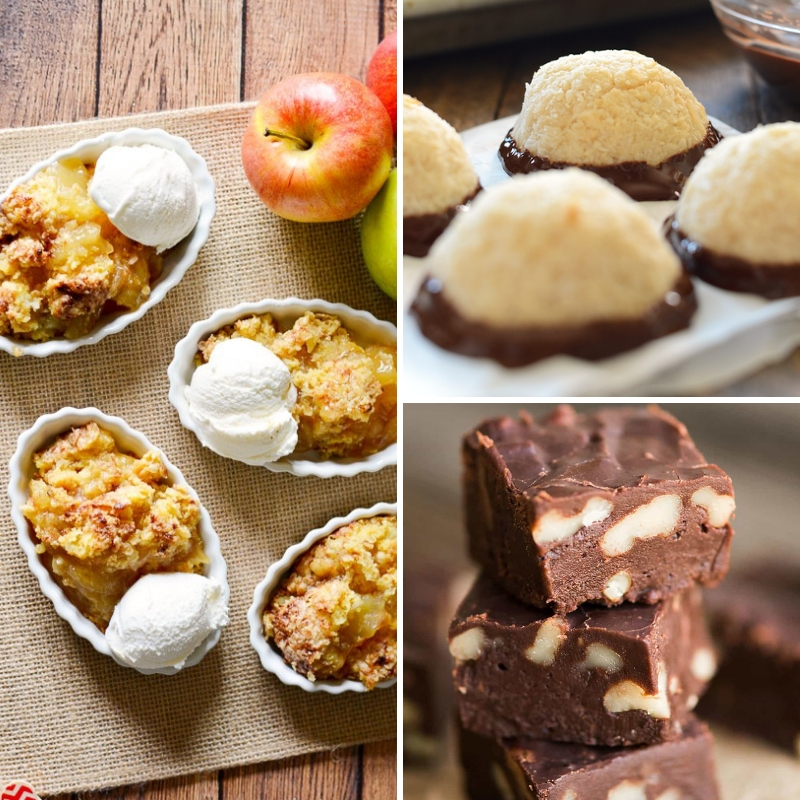 Whether you forgot to make treats for your child’s school party or want to whip up a few sweets for a holiday gathering, and all things in between, I’ve got you covered! From no-bake options to quick cookies and cakes that have a delicious sweet factor that will leave those who eat it wanting to lick their plates. Sometimes I have a craving for something sweet but I don’t want to spend much time making it. That is when I reach for something that is pretty easy to make but satisfies my sweet tooth. Or if I want a dessert that gives great presentation value to my guests but didn’t take much to whip up, I pull out one of these recipes. Just because it looks stunning doesn’t mean you have to slave away for half the day. 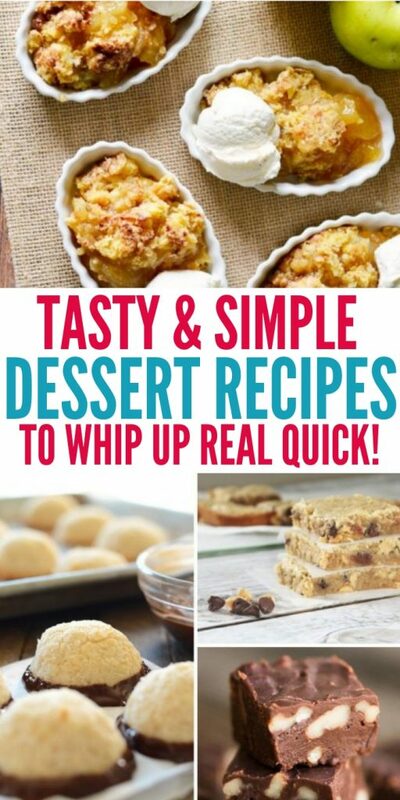 Make sure to check out our Instant Pot dessert recipes as well! This strawberry lemonade cake is spot on with flavor and has a stunning presentation factor for guests. 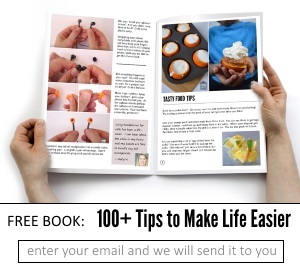 Your family will think you slaved away all day when really you whipped it up in no time flat. Serve this rich and decadent no-bake s’mores cake for all your guests. You don’t have to turn the oven on for this icebox cake. A delicious cake to cool you off on a warm day! 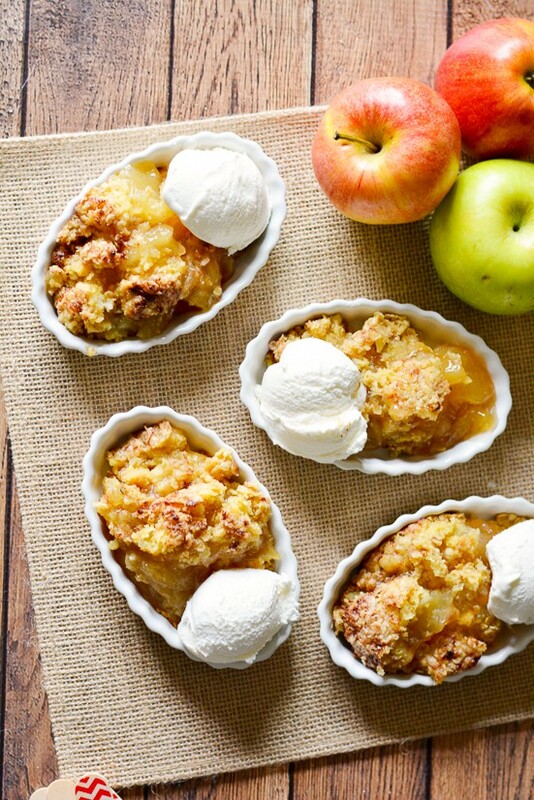 Whip up this quick and easy apple cobbler, that uses just 5 ingredients! Not only is it fast to make but it is affordable at the same time. Your family will devour this scrumptious dessert. Spring is in the air so serve this no-bake banana split cheesecake. You won’t even have to turn the oven on to make this rich and creamy dessert. Every last crumb will get licked from plates! Brown butter brownies may sound hard, but they really are pretty simple to whip up. You get a whole new flavor than a classic chocolate brownie that will really amaze those who sink their teeth into them. A five-minute s’mores pudding cup that will give you that rich s’mores taste in a pudding texture. These are not only delicious and no-bake but they are also gorgeous on presentation. I love the toasted marshmallow on top. 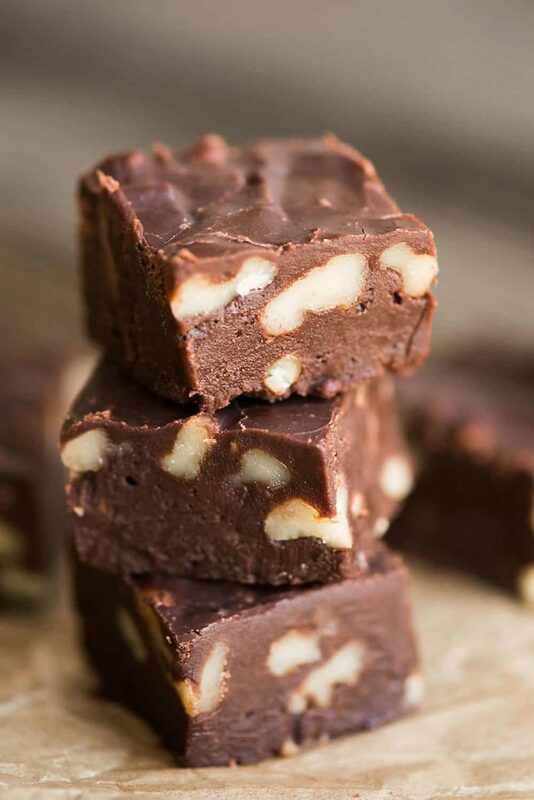 Five-minute fudge is always great for when the holidays roll around. Add your favorite toppings like chopped nuts, crumbles of candies, or serve it plain. I know at our house fudge doesn’t last long. Danish rice pudding with cherry sauce is something unique and different that you can whip up for a family gathering or when you have friends over for supper. Takes around 30 minutes to make, and you have a creamy and delightful treat to enjoy after supper. Chocolate Easter bark is not only colorful and fun but each bite is full of crunch and chocolate goodness. You can adjust the M&M’s to fit whatever holiday is coming up. You can’t pass up a moist lemon pound cake. This cake is vibrant and bursting with citrus flavor. Pair with your morning coffee or top with whipped cream for an afternoon pick me up. 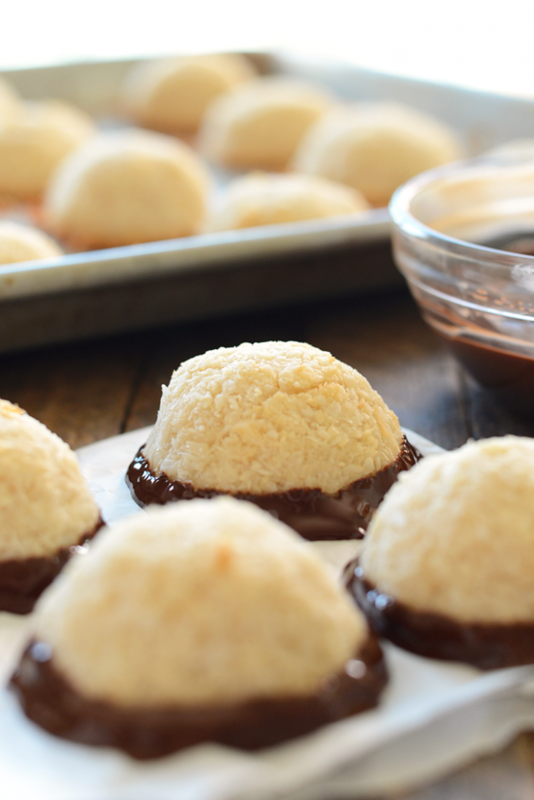 Coconut macaroons dipped in chocolate are a blue ribbon winner. These are made with basic ingredients that you might already have in your pantry. Make them up in no time. Try your hand at these strawberry and cream cupcakes. No piping skills needed, and they are even filled for an added treat. These Easter bird nests tarts are a delicious creamy filling topped with toasted coconut and egg-shaped candies. Heavenly strawberries n cream cake will not only be simple to whip up but it tastes like springtime. You have the creamy and light frosting, fresh strawberries on a moist white cake. 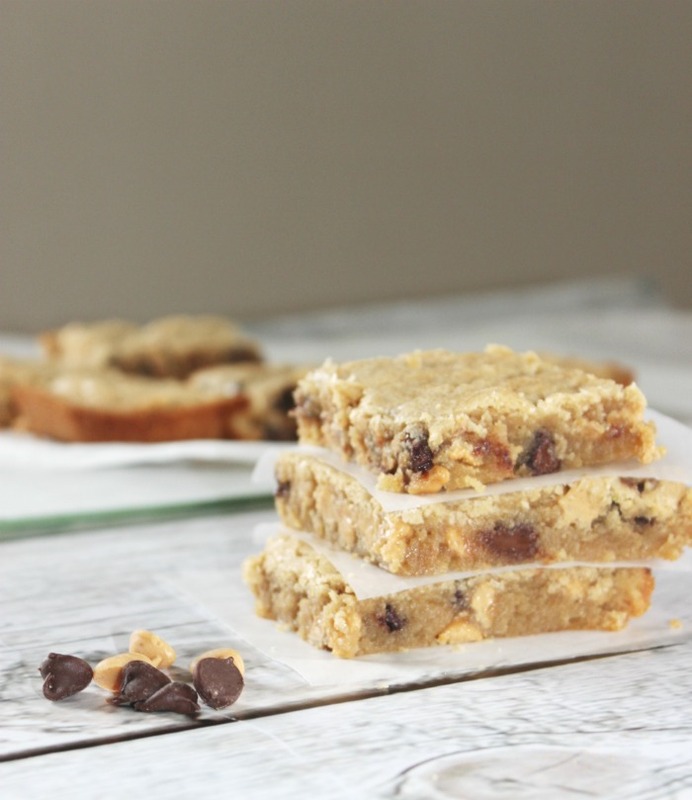 Peanut butter blondies are my favorite, they are so simple no blender needed, and are light, buttery, and melt in your mouth good! Give this recipe a try today! This dessert screams summer sun and warmth. No baking required for this pineapple cheesecake dessert! Make individual cups to serve up to the family or your friends. What are Your Favorite Simple Dessert Recipes?